One that matters in politics, but that matters even more in how you approach your business and your life. It’s easy to focus more on the “quality” of the person who has an idea or proposes a change than on the quality of the idea itself. Or, to put it another way, I’ll listen closely if Richard Branson gives me advice about whether to invest in a certain startup. But if the very same advice comes from the kid who bags my groceries, I won’t — especially if that advice doesn’t line up, at least initially, with my own perspectives and viewpoints. It’s natural to like an idea more if you like the person who proposes it. Just like it’s natural to dismiss an idea if you don’t particularly like — for whatever reason — the person who proposes it. It’s too easy to miss the quality of the forest for the personality of the trees. A man wearing jeans, a T-shirt, and a baseball cap walked into a D.C. Metro station and took out his violin. He left the case open on the floor to invite spare change. He played for 43 minutes while almost 1,100 people walked by. During that time, only seven stopped — briefly — to listen. Except the violinist was Joshua Bell, an internationally acclaimed virtuoso widely regarded as one of the world’s greatest violinists. After all, I just saw Joshua Bell at Carnegie Hall! How could he not be awesome? Yet if I see Joshua in a Metro station, he’s just a guy trying to score a little cash. The problem is that we naturally add extra weight to advice we hear from the people we admire and respect. And we all naturally subtract a little weight — or even disregard — advice we hear from people we don’t admire, don’t respect, or don’t know. Totally understandable — yet also a huge problem. Maybe Alexandria Ocasio-Cortez is right about, say, creating a single-payer health care system. Maybe she’s not. Either way, what really matters isn’t that she proposed a fundamental change in U.S. health care. But that can never happen if we don’t listen to, consider, and discuss the idea itself — not the person who proposes it. Commuters didn’t ignore Joshua Bell’s music because it was terrible; they ignored his music because they focused on what they saw — not what they heard. Most of the people you see on a daily basis aren’t recognized as thought leaders. Nor are they wildly successful. So you don’t automatically hang on their every word. But you should always take the time to listen — especially if you intend to respond to their ideas, their proposals, or their suggestions. Just as you should never reflexively embrace a message because you admire the messenger, nor should you reflexively reject a message because you discount the messenger. Opinions, advice, information — it’s all data, and the more data you have, the better. You don’t have to agree, but you should always try to listen. 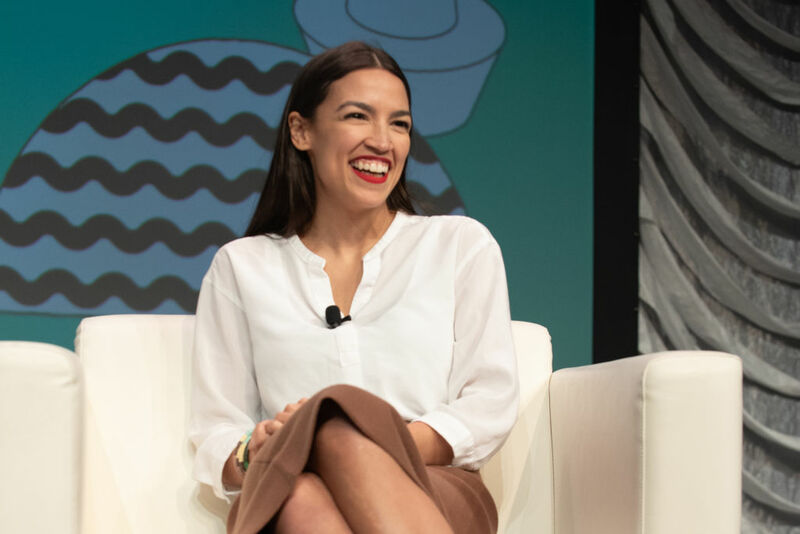 Alexandria Ocasio-Cortez Says Her Pajamas Help Her Unwind. Here’s Why.